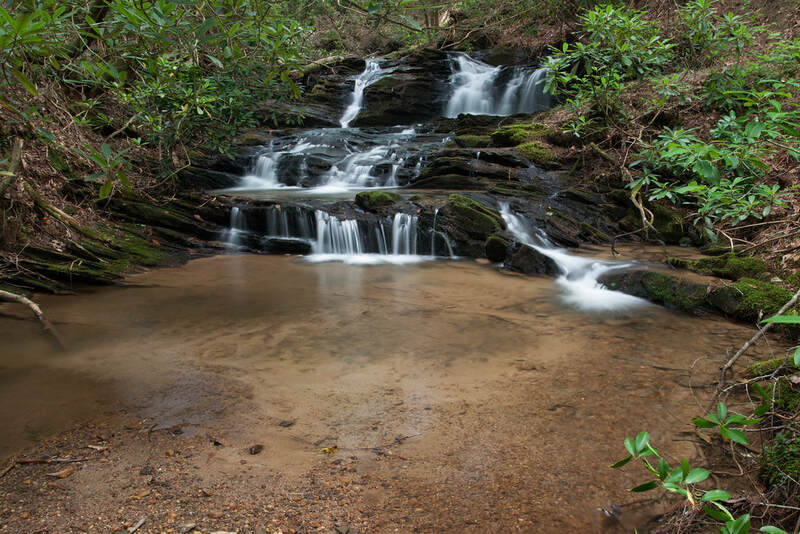 Waterfall Info: This series of small waterfalls is located on a tributary of Jones Creek that is referred to as the Upper East Fork of Jones Creek. The three small cascading falls are grouped close together and are essentially one waterfall. It's one of two waterfalls sometimes categorized under "waterfalls of the Forks of Jones Creek". Access Info: Descend a short distance down the bank from FS 77A through open woods to the creek.